This film could not be viewed by myself until now as this is quite easily the best renter of the store for a while now. 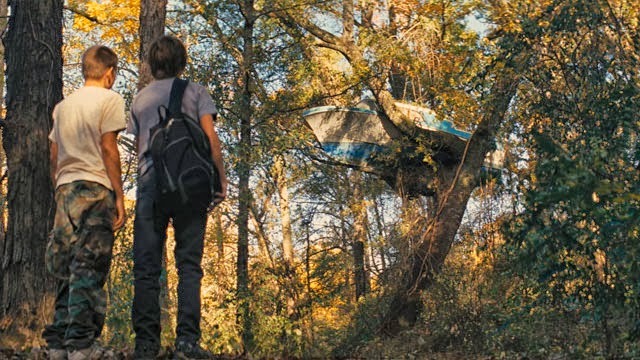 The film tells the story of two friends that hear of a boat that is in a tree and there only concern is that whether or not anyone else knows about it, let me clear things up this boat is a great distance from where they both live it takes sometime to get to this little island to even try to find the boat. When they do find the boat and enter it they also find that someone else has been there and then is the mystery of who? MUD is his name we are never told as to why but maybe that is a statement of who he is, an incredible liar.This man is a mystery to our young men but he slowly comes out of his shell, or does he? 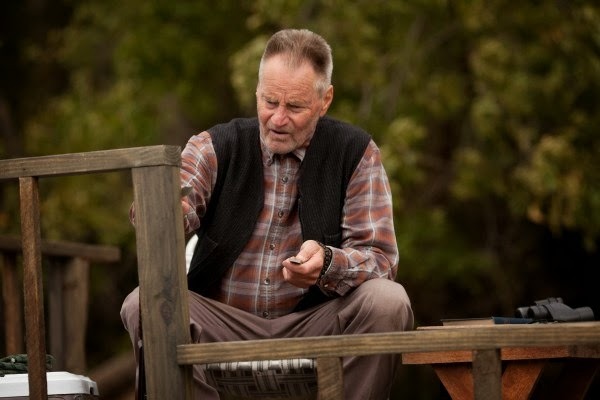 Then MUD has the audacity to ask our young men to help him contact and old flame played very nicely by Reese Witherspoon(Juniper) and an older friend played by Sam Shepard(Tom). 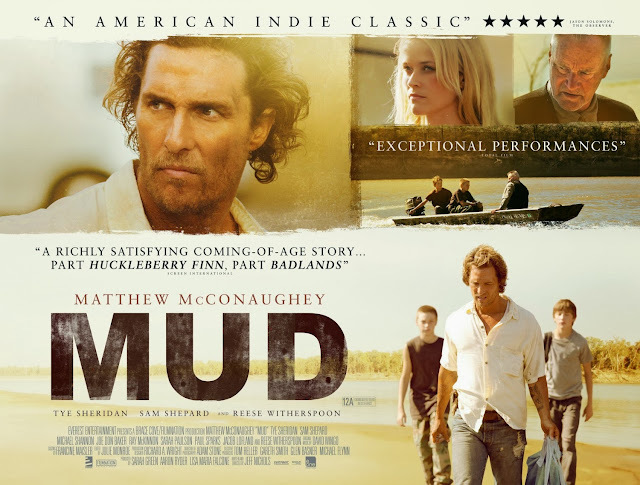 He tells Ellis(Tye Sheridan) & Neckbone(Jacob Lofland)that he and Juniper are going to meet and run away together, problem is the family of the man that MUD killed trying to protect Juniper is in town for revenge. Joe Don Baker plays the father that is rounding up the troops to find MUD. Feeling that Juniper knows where MUD is the only boy of the family pays her a nasty visit. The fantastic work that the three actors do in this film is the reasoning for this being the BEST film I have seen this year, also the great script which definitely helps any film as that is so crucial and needed for a film such as this. There is also a flawless shootout at the end of the film that made me remember the great shootouts in all those classic westerns when I was growing up. The editing also has always been one major overlooked reason why a film like this can work, the great work of Julie Monroe(Life As A House, World Trade Center). 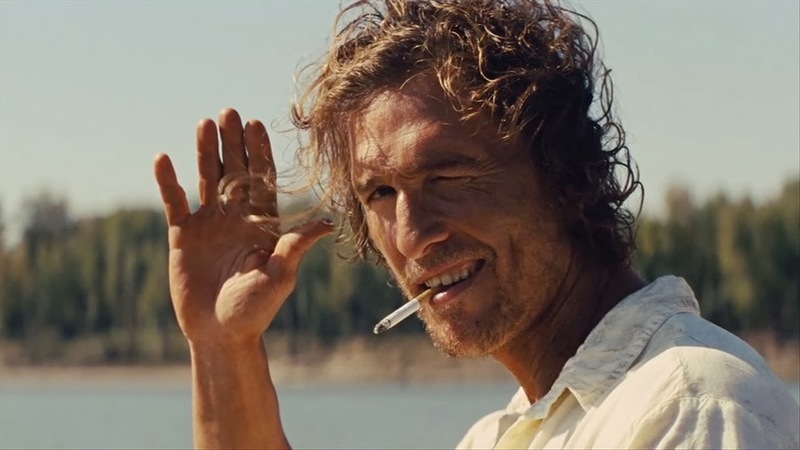 I am not a big fan of Matthew McConaughey but he gives a stellar performance here I have seen most of his work and this is top notch stuff. Here is a great Behind The Scenes look and thoughts of the film the really cool thing is the company that put this together is entitled "Behind The Scenes Productions"